We are delighted to announce the launch of two new ranges of vacuum switches, the AVA and the VCA. 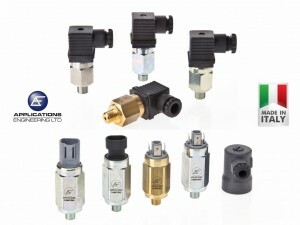 The AVA is the vacuum version of our very popular APA range of pressure switches and features the same design, which incorporates a 5A SPDT micro switch and has an adjustment range of 200~900 mbar, is available with a choice of body and diaphragm materials and includes a DIN43650 electrical connector. The VCA range is the cost effective vacuum counterpart to the MCA range of pressure switches and also features a 5A SPDT micro switch and has all the material options available in the MCA range. Click here for further details on the AVA range and here for the VCA range.